Posted on December 23, 2014 at 3:26 pm. As I write, we’re just days away from winter solstice – the deepest darkness, which is also the tipping point to growing light. Dark and light interplay and this has been a year for it. Here in our community, we experienced the Temple fire, and in the world unspeakable tragedies, divisiveness and brutality. Yet the constancy of earth revolving around sun assures us that light will grow.From all of us at the Ashram our deepest gratitude for the support we have received – in kind words, prayers, donations, service, creativity – a tangible expression of Light. Thank you for supporting the new Temple, a symbol of hope.Thank you to all who give back so generously to life, to those who open your hearts with compassion and offer practice, action and living your ideals. Thank you for being a positive force in the world!From the Ashram we send out loving kindness to all – expansive ever-growing abundant Light, Love and Peace in this season and in the New Year! 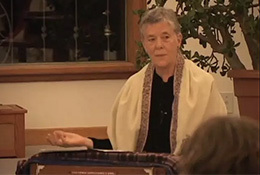 2015 Yasodhara Ashram Program Calendar now online: Discover the course or retreat that’s right for you.One-Month Karma Yoga (30+) and Young Adult (18-30) Program: These one-month Service & Study Programs are for those who are interested in experiencing life in a spiritual community, developing skills and studying yoga. They are live and work programs, with a focus on the practice of Karma Yoga or selfless service.Starting January 5, February 3, March 2 and monthly thereafterYoga Development Course: The YDC is an intensive three-month program designed to give students an in-depth introduction to the major branches of yoga and a foundation in personal and spiritual development. The course is of lasting value to those who wish to deepen their yoga practice and make permanent changes in their approach to life. 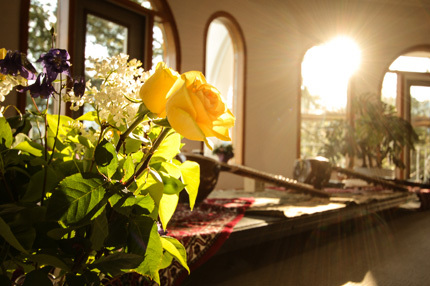 Relaxation Retreat: Experience the quiet and tranquility of Yasodhara Ashram. Focus on going inward, stilling the mind and body, connecting to your inner source of peace, harmony and joy. 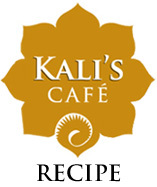 Re-enter your life with sustaining practices to keep the relaxation, with all of its benefits, alive. In this historic video from the original Temple opening in 1992, Swami Radha talks about the Temple first being built in the unseen. She describes how to go beyond image to access the place of Light. The Ashram is now preparing for the redesign and rebuild of the Temple of Light. The planning phases for the rebuild will span 2015, with hopes to have construction underway and completed in 2016. In the meantime, we have the beautiful transitional Temple to inspire us! In this video Swami Radhananda visits the transitional Temple and talks about the Temple past and future. – from Swami Radha’s last message. Swami Radha left all of us a treasure – a sacred place to discover, a community of Light that inspires us to connect to our deepest selves… the Ashram. Each year, the Ashram residents plan for the ongoing care of this inheritance – balancing day-to-day operations with new projects and programming. Proactive stewardship is our guide. Among our 2015 initiatives, we will enter the design phase of the new Temple, offer a new Timeless Books publication and expand our Internship Program. 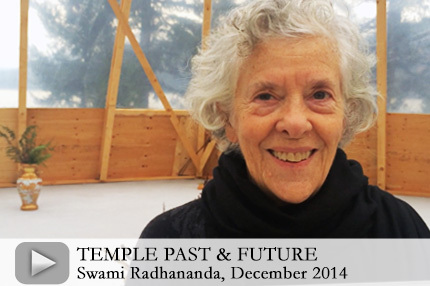 We need your help to sustain Swami Radha’s vision for a community of Light. Make your donation today. 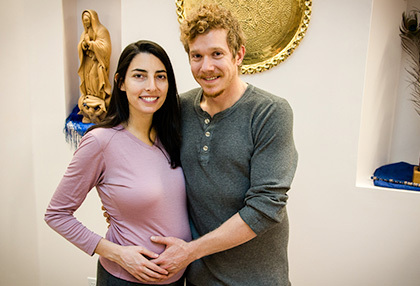 Magdalena Angel and Andrew Fafard grew as individuals, as a couple, and as parents-to-be during their November participation in Yasodhara Ashram’s Young Adult Program (YAP). They are grateful for the good foundation they laid for their next steps. “The Hatha and workshops provided the time and space for us both to reflect, and to begin developing a relationship with the baby that is growing inside of me,” says Magdalena. The baby is due in March 2015. “The space to be reflective, individually and as a family with the little one, has been a nice reset,” agrees Andrew. After Magdalena spent four weeks in YAP this spring, Andrew noticed she was calm and content upon her return. Now, from his own first experience, he appreciates the practical nature of the teachings that helped him “unpack, unlearn and relearn” in positive ways. They recognize too the Karma Yoga learnings they can take back into daily life. With a copy of the Temple Songbook in hand, they will continue singing bhajans and mantra, knowing the vibrations bring balance to themselves and benefit the growing baby. 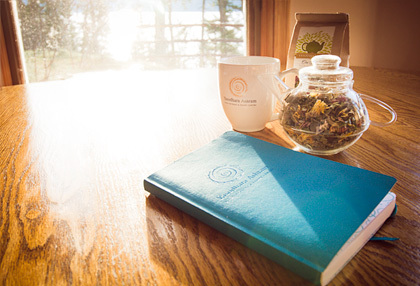 Start the New Year with a Yasodhara Ashram journal – or gift one to a friend. You can now order these customized journals at our new Yasodhara Online Store. The turquoise-cover journals come either lined or blank. Made of 100% post-consumer recycled paper, soy inks, water-based dyes and adhesives, they are 100% acid and chlorine-free. And they are just the right size for recording your thoughts, dreams and insights! We hope you enjoy the Ashram’s new online shopping option, where you can buy the full range of Timeless Books, CDs and DVDs, past issues of Ascent magazine (in print or downloadable PDF format), and other select merchandise. Community-wide involvement during November Planning Month is moving us into 2015 with clarity about where our energy needs to be directed. Led by Paris Marshall Smith and Rebecca Dale, the Ashram met in small and large gatherings to look at what we accomplished in the past year and what needs to be done in the year ahead. Individuals, areas and hubs asked themselves, “What is the best use of our energy” given that the focus for 2015 is on creating the Temple and developing alternative forms of income generation. We learned that our six working areas now hold a high level of ownership and autonomy and are ready to tackle multi-year plans and more intra-area coordination. Each area is also considering how to work more consciously as a teaching centre. Our discussions show that as a community we are increasingly able to translate our experience into action and to share our knowledge with greater transparency. With budget and plans in hand, we are ready for 2015! 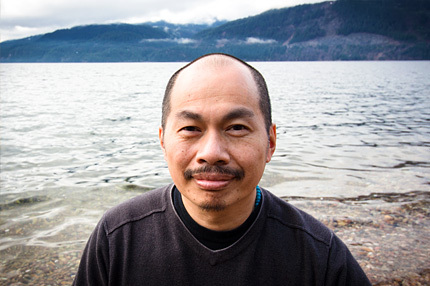 Michael Wou, Ashram friend and brand designer, recently attended the Yoga of Healing Retreat. In Montreal, Michael was under the stress of caring for his wife, who had been very ill, looking after his kids, his business and communicating to extended family and friends. During the retreat, he realized that his understanding of healing needs to change. I am always surprised what I learn at the Ashram because it turns things upside down. In the retreat I realized I had the idea of healing all backwards! I thought if I took care of everyone else and they were fine, then I would be fine. Instead I learned that I need to take care of myself first so I can be a better caregiver. It is about making space for myself and understanding that everything will be okay if I trust in life and the Light. In making that space, I am taken care of and everything falls where it should. The environment and support here is incredible and so very healing. I felt like the whole Ashram conspired to help me. It is difficult to explain, but when you are here you know it. I’m walking out so full of answers and Light. It’s not too late! – Join us for the Yoga Development Course, a three-month life-transforming program, January 8 to April 8. A time of deep self-inquiry and learning. 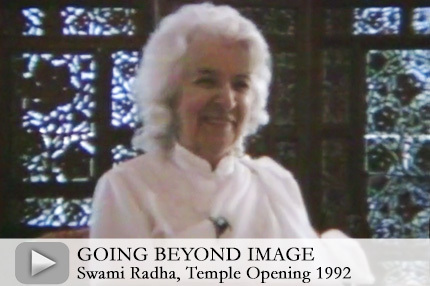 Contact Registrations for more details.Gratitude – On Sunday, November 30, the 19th anniversary of Swami Radha’s passing, we celebrated her life and the many gifts she gave us. The sun shone on a beautiful satsang offered by Swami Lalitananda, and many neighbours joined us for a special dinner.Last Bhajan Blast – On December 14, friends from around the world joined us for our final live Bhajan Blast, an hour of joyful songs, sacred dance and an inspiring talk by Swami Matananda. Watch the recorded broadcast here. Good Vibrations – Anna Carr, a Food Flow intern from England, lived a long-term dream by forming and leading a choir of Ashram residents and karma yogis. The weekly singing group, called Ashram Vibrations, capped their practices with a joyful offering to the community. Listen to a few of their favorite songs. Thank you Anna! 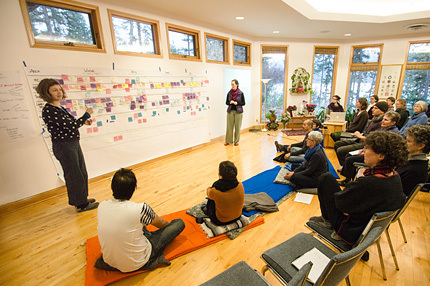 First Meeting with the Architects – We recently welcomed Patkau Architects at Yasodhara Ashram to begin the conceptual design process for the next Temple of Light. Their non-linear approach and willingness to work with our unique community created a harmonious meeting of minds and hearts. Swami Lalitananda caught up with them during their visit to ask a couple of questions. Watch the interview here. VideoSwami Radhananda leads us through a beautiful meditation on silence, stillness and the mantra. Filmed in the Temple of Light, September 2005. Swami Radha invites us to rise up to the top of a Himalayan mountain. All of our senses awake as we journey. Coming to rest in Siva’s presence – in silence and breath. “Sound & Silence”Reflection QuestionsWinter can draw us into silence and song. Explore the varied range of possibilities this month with reflections from the Yasodhara Yoga Ottawa group. Learn more about your relationship with sound and silence by choosing to do one thing this month in silence – go for a silent walk in the woods, create a silent evening in your household or host a silent meal (either by yourself or with company). Set a specific time to be in silence and see what is revealed. Notice your senses and bring your awareness to the freshness of the experience when talking is stopped (both outward and inward). Afterwards, reflect on these questions: What is being revealed? What is silence teaching me? 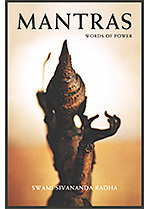 “The power of the Mantra sets awareness in motion. Think of the vibration that your words create outside your human body. The sound has been released with the breath: Does it fade, die out or continue the journey? When you chant the mantra, where will the vibrations of the mantra go?” (Light and Vibration, p.73) Chant a mantra of your choice – what do you become aware of? “In the Visuddha Cakra, the emphasis is on hearing. True listening means the ability to surrender; thereby speech, as well as mental talking, must be controlled in order to hear clearly.” (The Devi of Speech, p. 87) Ask yourself: When I listen, what is it that listens? What do I listen to? Possible hurts? Criticisms? Compliments? Can I listen to another without interrupting? Explaining? Putting forward my point of view?